That's so pretty, I love the mix of textures. This is so gorgeous - I love the colours! Your leaves are so sweet! Hope you had a great Thanksgiving! very pretty - Hope you had a great holiday! 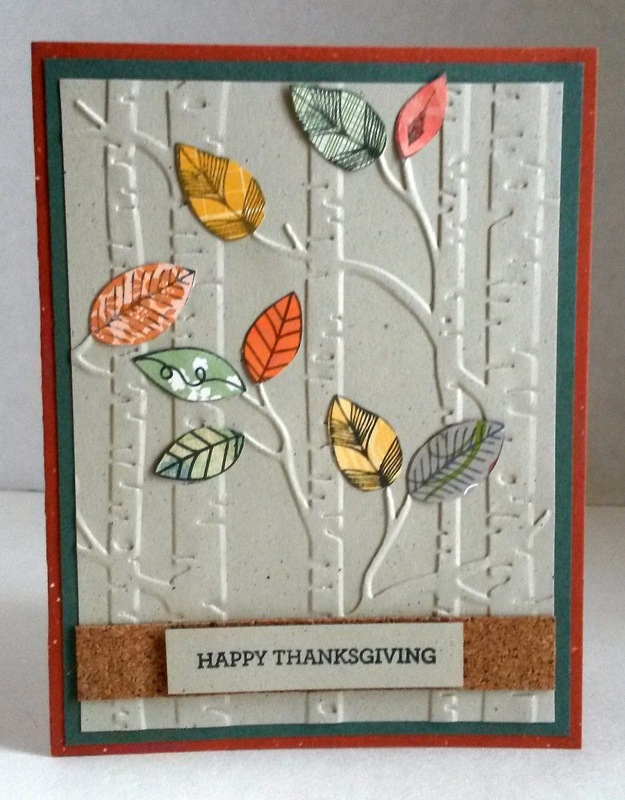 I think my favorite part is definitely the embossed trees - I love how they're so subtle and then there's the pop of color from the leaves! So happy you shared it with us at #FridayFrivolity this week! A beautiful card. I hope you had a wonderful Thanksgiving day. This is wonderful for the holidays Linda! Thank you for sharing at #OverTheMoon. Please come back next week and share what you have been working on! Beautiful Linda and I hope your Thanksgiving was peaceful and fun.